Bonnie Hanlon: How beautiful is this? 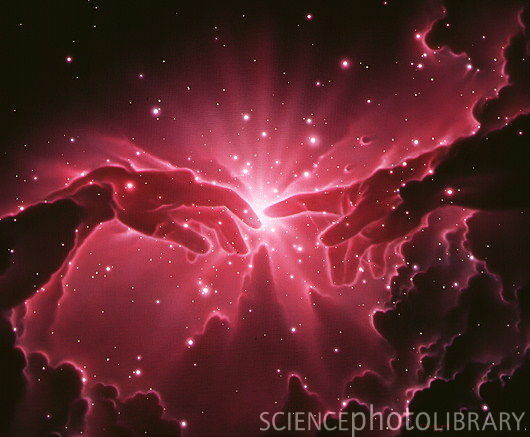 I found this amazing image while doing some research, the hands are in the wrong positions, but even still, I thought it was really beautiful. I've always seen something 'godly' in the Hubble space telescope images and thought this was a really cute expression of that. The image is credited to Joe Tucciarone.